Museum of the American Revolution is located at 101 S. Third Street. On Tuesday, Aug. 21, dozens of representatives from local historical sites and landmarks will visit the Museum of the American Revolution in Old City. 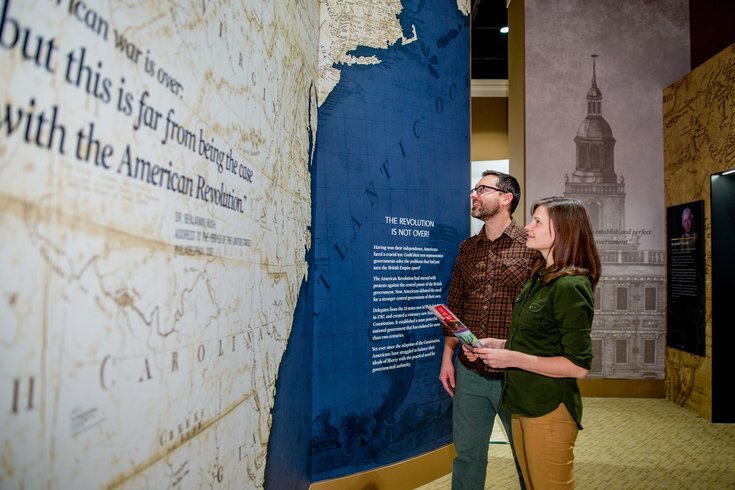 Museum visitors will get to hear famous and lesser-known stories of the Revolution from places like the Betsy Ross House, Valley Forge National Historical Park, Fort Mifflin and Washington Crossing Historic Park – without having to travel to each location, and for only $10. The staycation event is part of the museum's History After Hours series. During History After Hours, visitors enjoy full access to exhibits, extended evening hours from 5 p.m. to 8 p.m., themed programs, happy hour specials in the museum's Cross Keys Café and games. On Aug. 21, those who stop into the café for alcoholic refreshments can hang with a young Continental Army veteran, portrayed by a historical interpreter. Looking ahead, September's History After Hours event will be fashion-themed and October's will be Halloween-themed.